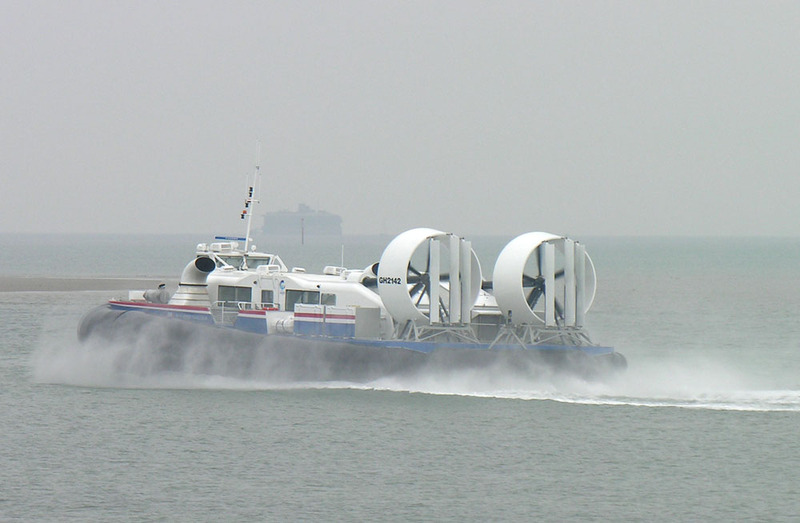 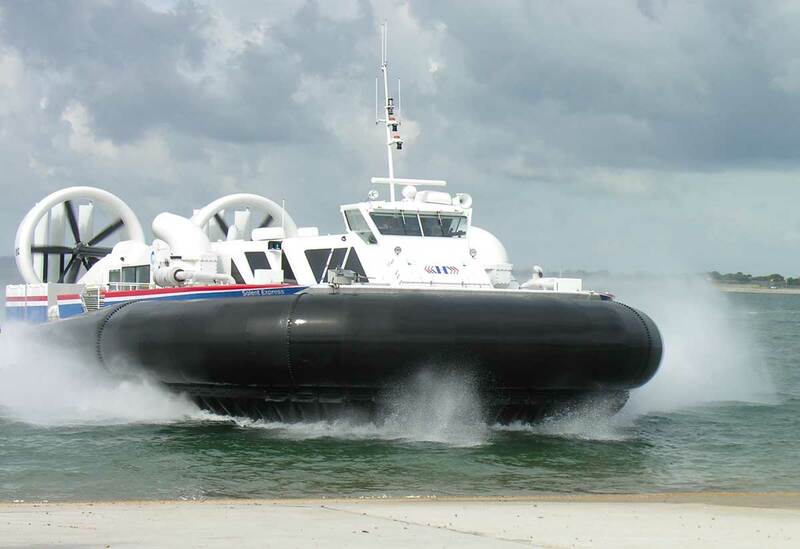 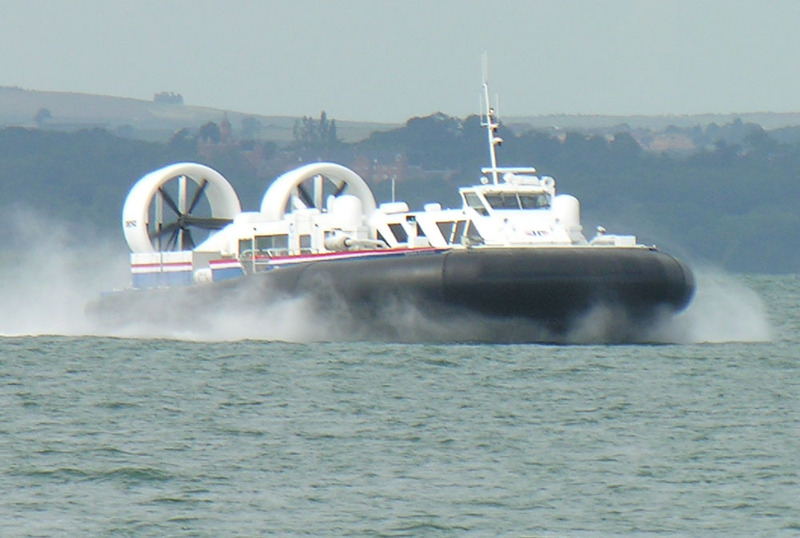 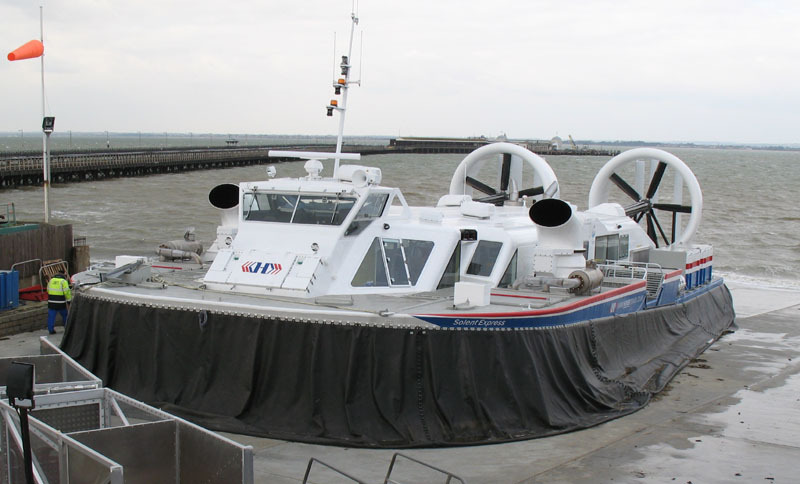 The BHT130 hovercraft has a 20 tonne or 131 passengers payload, designed by Hoverwork and fitted out at their St Helens works. 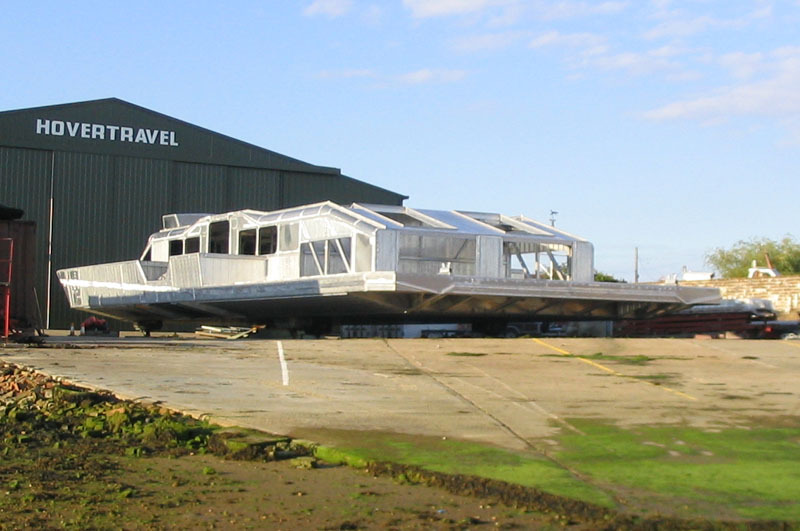 The first welded aluminium hull (fabricated by Aluminium Ship Builders, Fishbourne, Isle of Wight) arrived at Hoverwork's St Helens works in August 2005 (see pictures below). 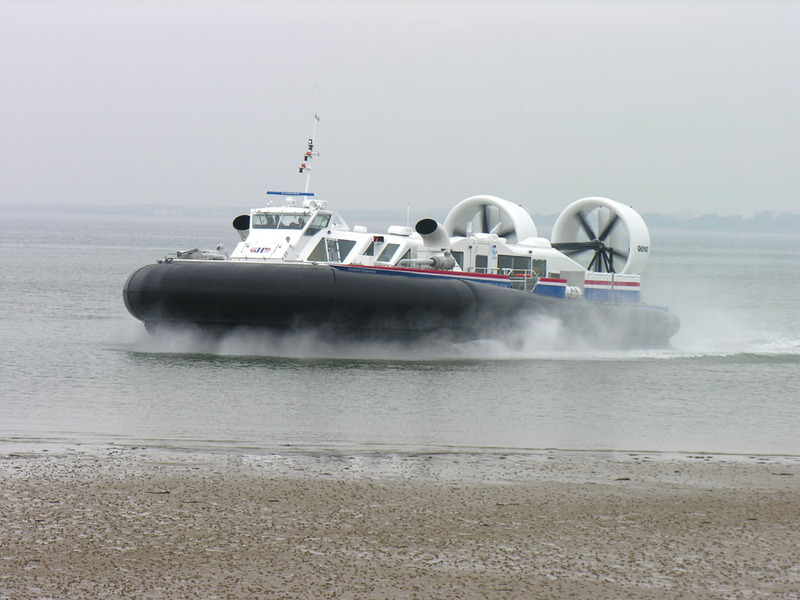 The first one, named 'Solent Express', was due to enter service on the Ryde Southsea route in 2006 - well this didn't happen, the first sight of the craft outside the workshop was February 2007 (see picture below), and at the Ryde Hovercraft terminal March 2007 (see pictures below) from where sea trials were conducted (see pictures below). 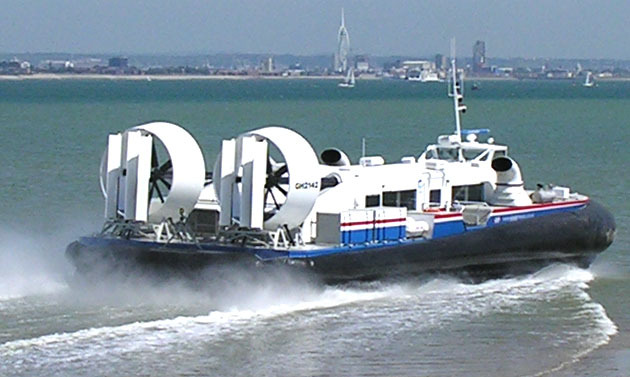 The 70 tonne BHT130 completed trials and received Maritime and Coastguard Agency approval - it entered cross-Solent service on 14th June 2007, 40 years to the day after the launch of the SR-N1 at Saunders Roe Cowes. 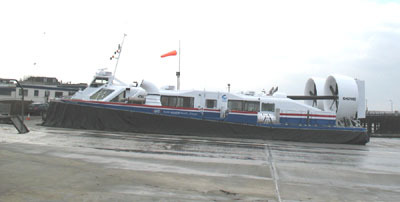 In July 2007, the 'Solent Express' was charter to Stagecoach for a two weeks trial on a new passenger service between Kickcaldy and Portobello across the Firth of Forth in Scotland - for more details see 'BHT130 in Scotland'. 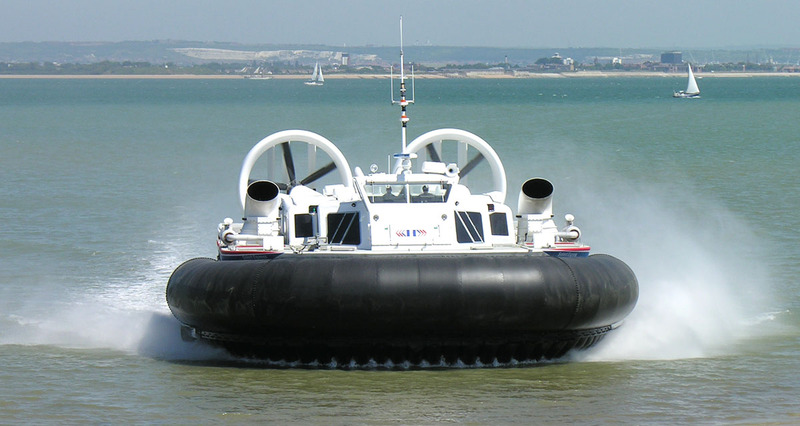 see Griffon Hoverwork website for more details of this and other craft. 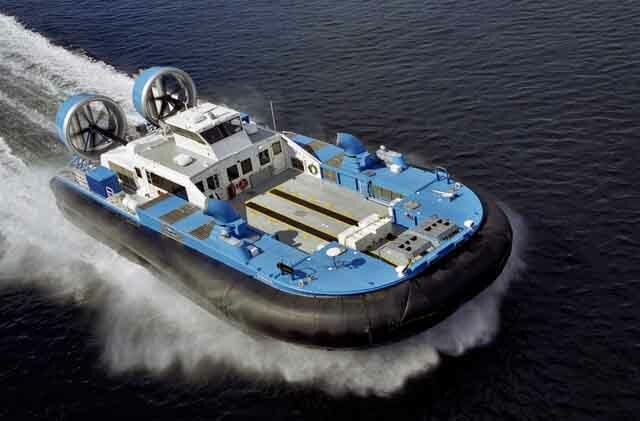 A cargo/passenger version of the BHT130 was built by Kvichak Marine Industries in Seattle USA and launched in 2006. 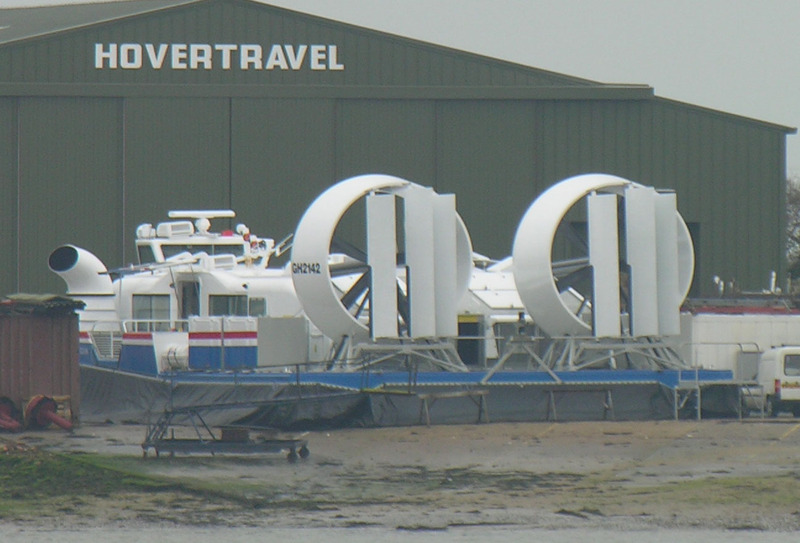 It is "one bay" longer that the BHT130 described above at 30.7m. Designated 'Suna-X', it is designed as a high speed ferry for up to 47 passengers and 47,500 pounds of freight to serve the remote Alaskan villages of King Cove and Cold Bay. 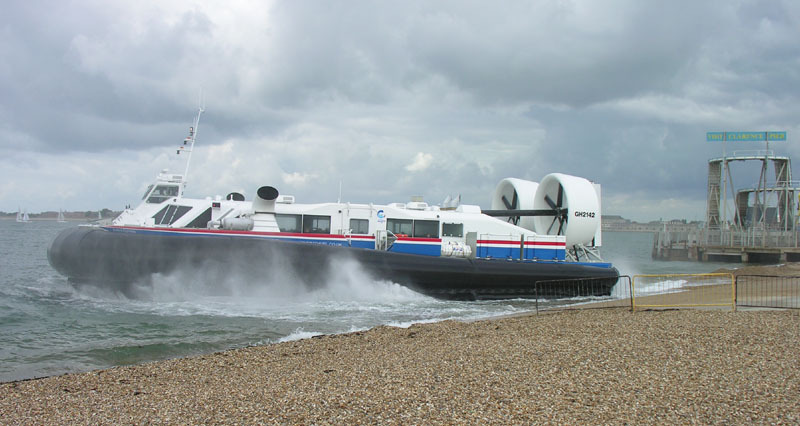 August 2005 saw the arrival of the welded aluminium hull at Hoverwork's St Helens works after being towed from Aluminium Ship Builders, Fishbourne, Isle of Wight where it had been fabricated.